The Third Sunday, and mid-point, of Lent celebrates the Holy Cross. 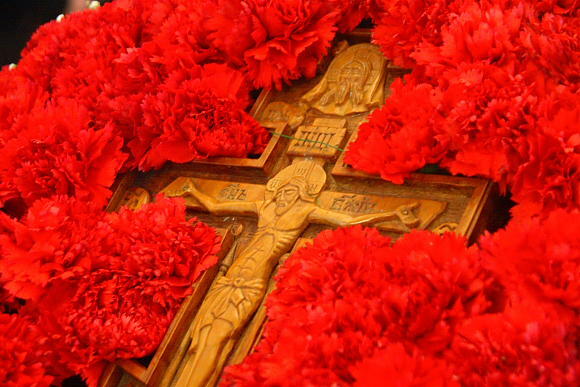 In Orthodoxy the cross has always been a symbol of great victory and power, as it was through the Christ’s voluntary sacrifice on the cross that death was overcome and salvation became possible for us. 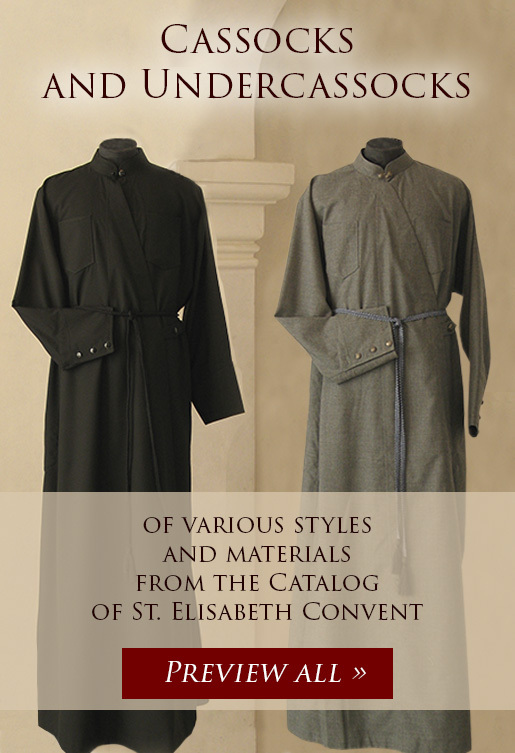 Crosses and crucifixes, therefore, are extremely common and widely used. The most “complete” Crucifix is the so-called eight-pointed cross, which shows Christ crucified. Note that Jesus is not shown wearing a crow of thorns, but with a halo of glory, and that He is not shown in agony and suffering, but peacefully reposed. 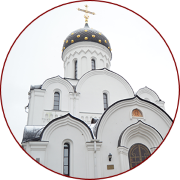 As is often the case in icons, the Slavonic inscriptions on the cross are sometimes shortened, with curly lines over the letters which are omitted. In the explanation below, I mainly give the full inscriptions. The top bar of the Cross is the title-board which Pilate ordered to be hung in mockery over Christ’s head. On this board was inscribed: “Jesus of Nazareth, King of the Jews”, abbreviated to the Greek initials “INBI”, or the Latin initials “INRI”. In modern Russian crosses, as here, the Russian abbreviation “І.Н.Ц.І.” is used. Around the top bar, this inscription has been supplemented with the title: “King of Glory” (Царь славы). 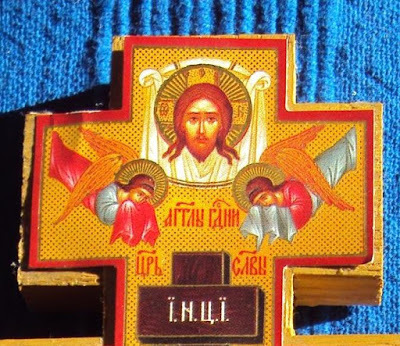 At the top of the Cross is the Image of Christ “Not made by hands” (Нерукутвореному образъ). It is through the Cross that Christ rose from the dead, and the Cross is believed to be a source of miracles and healing. It is therefore appropriate that atop the cross is a towel showing the face of the living Christ, which is also believed to be miraculous. Ministering to the Crucified Lord are two flying angels, with the inscription between them: “Angels of the Lord” (Ангели Господни). The middle bar is that on which the Lord’s hands were nailed. 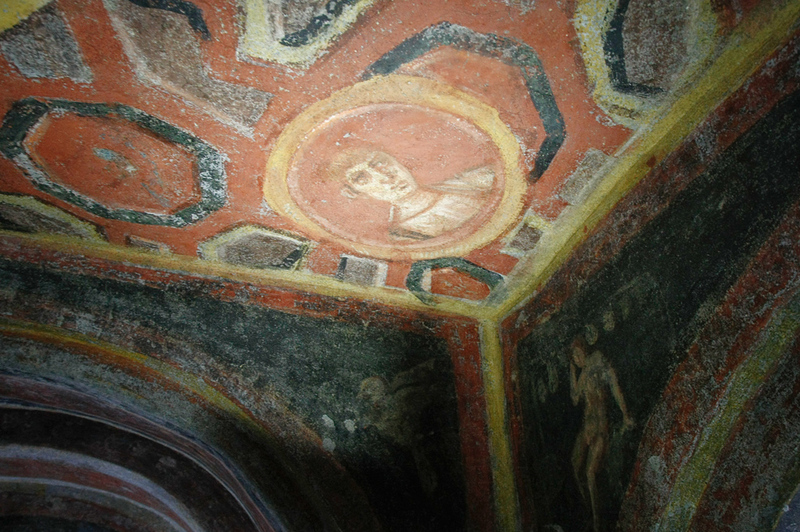 On this Crucifix, the Mother of God (ΜΡ ΘΥ – Greek, rather than Slavonic) and St John the Theologian (св. 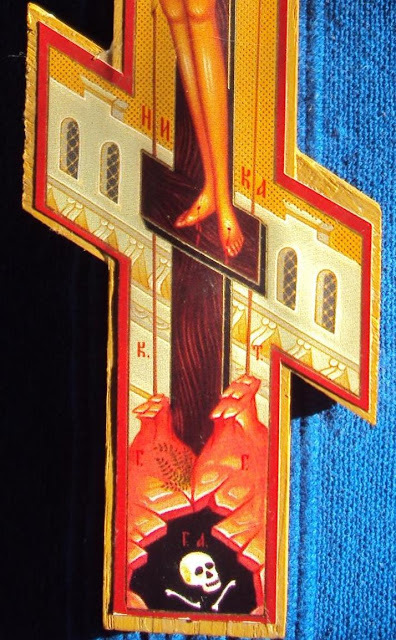 Иоанн Богослов) are shown as in icons of the Crucifixion, though they are not always present on crosses like these. Immediately on either side of Jesus Christ‘s head, His name is inscribed as the abbreviation IC XC. Further down the Cross, by His feet, is the Greek word “NIKA”, which means “conquer”, giving the full inscription: “Jesus Christ Conquers”. 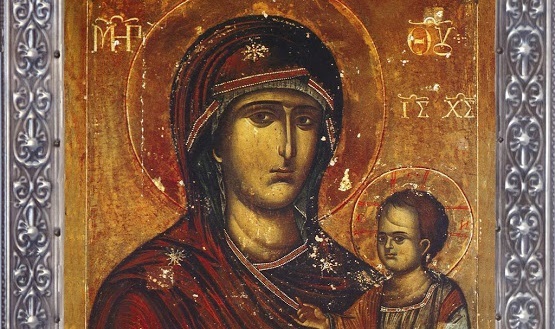 Note that, as is the custom, Christ and His Mother’s name are inscribed in Greek, whereas St John’s is written in Slavonic. 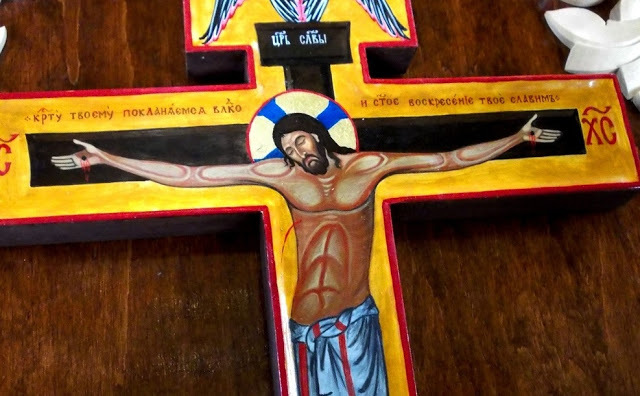 The inscription: Son of God (Сынъ Божіи) is placed on both sides of Christ’s head, and below His arms we read the inscription: We bow down before Thy Cross, O Master, and we worship Thy holy Resurrection (Кресту Твоему поклоняемся Владыко, и святое воскресение Твое славимъ). On other Crucifixes, placed in roughly the same position as Mary and John here, are placed a picture of the sun (солнца) and the moon (луна), for “The sun hid its light, and the moon turned to blood.” (Joel 2:31). The sun and moon are also often shown on icons of the Crucifixion. The foot-brace of the cross is slanted to remind us that the Church likens the Cross to a “balance-beam of righteousness”, whereby a man is condemned or justified by how they respond to Christ’s cross. Behind the foot-brace are the walls of Jerusalem, as Christ was crucified outside the city walls. Just above the footrest is the Greek word for “conquer”, completing the inscription Christ Conquers (IC XC NIKA) mentioned above. 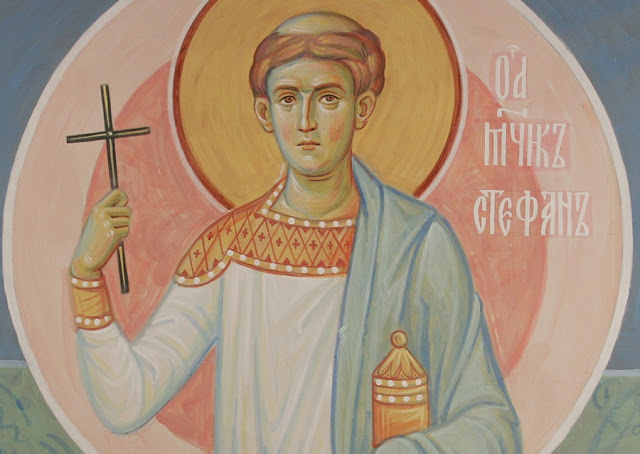 Behind the body of Christ, on either side, are a lance (К, short for копие) and a sponge on a pole made of reed or cane (Т, short for трость, meaning reed). The lance pierced Christ’s side, whilst the sponge was soaked with gall and offered Him to drink. By the foot of the Cross are the letters: Г Г standing for Mount Golgotha (Гора Голгофа); this is the hill outside the city gates upon which Christ was crucified. Hidden in a cave under the earth is the skull of Adam, identified with the letters: Г А (глава Адама). Sometimes, the arm bones will be shown crossed, the right arm over the left, just as believers cross their arms to receive communion. Not shown here, but often present on below the feet of Christ are four Slavonic letters: М.Л.Р.Б., meaning: The place of the skull, where Adam was (Место лобное рай бысть). We are reminded that Adam our forefather lost Paradise through wrongly eating from the tree, and that Christ is the new Adam, bringing us Salvation and Paradise through the tree of the Cross.